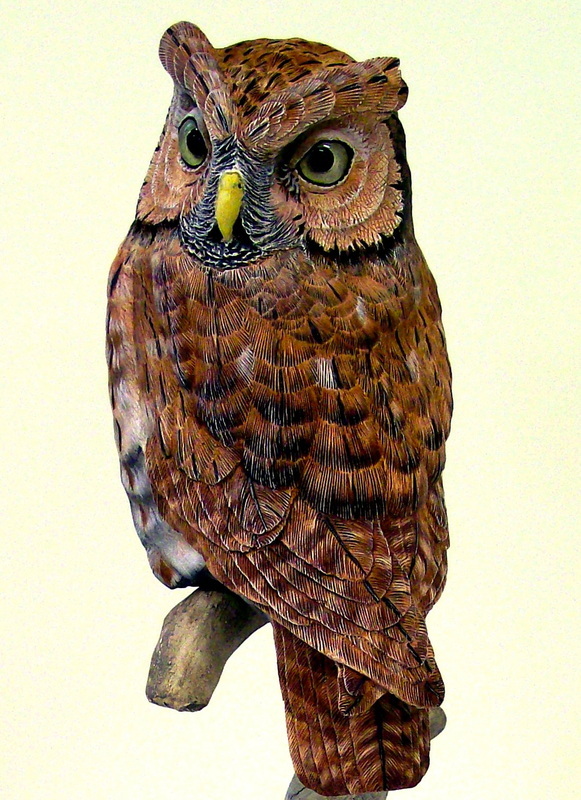 The Eastern Screech Owl is a small, nocturnal, woodland Owl. There are two color morphs, a gray phase and a reddish-brown phase. When threatened, an Eastern Screech Owl will stretch its body and tighten its feathers in order to look like a branch stub to avoid detection, but will take flight when it knows it has been detected. Eastern Screech Owls hunt from dusk to dawn, with most hunting done during the first four hours of darkness. They hunt mainly from perches, occasionally hovering to catch prey and will capture flying insects on the wing. If you would like to see how the red-phase Eastern screech owl was created, the work in progress images are available here.